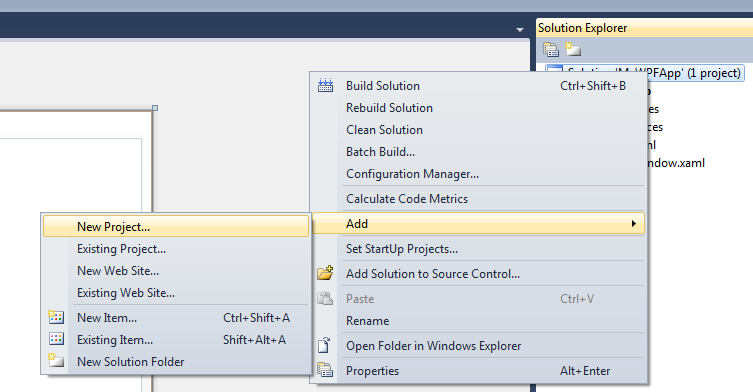 A solution in Visual Studio can contain one or more projects. When you create a new solution using the New Project wizard, you typically get a solution with a single project. You can add additional projects to a solution at any time, representing additional components that will be built when you build all source code in the solution. 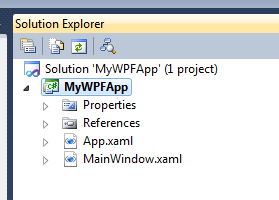 As an example, suppose that you use the New Project wizard to create a WPF Application called MyWPFApp. You’ll get a solution with a single project. 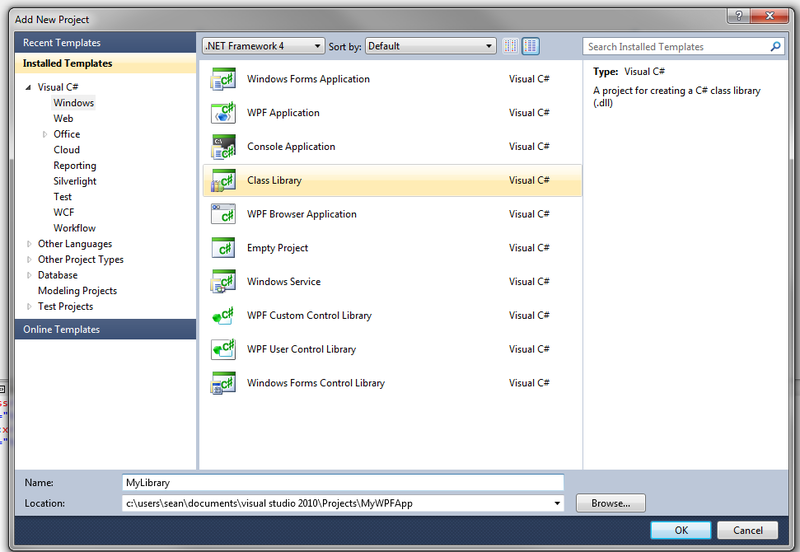 Now let’s say that you want to add a class library (DLL) to your project. 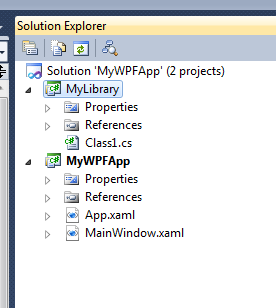 You right-click on the solution in the Solution Explorer and select Add | New Project. You’ll get the Add New Project dialog, where you can select Class Library as the project type, give the project a name, and press OK.
You’ll now see the new project in the Solution Explorer.